• The center of gravity is moved lower and deeper by strategically positioning weight in the back cavity. • Has the distance and forgiveness of a wide sole iron and the playability of a player’s thin sole iron. 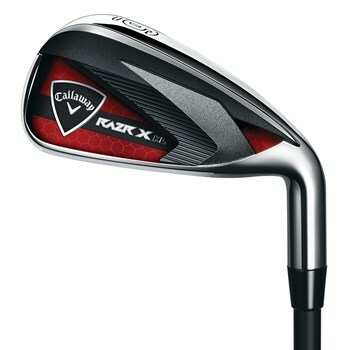 • The undercut cavity enables Callaway engineers to position the CG and face of each iron to produce higher ball speeds. • Aluminum and thermoplastic polyurethane insert tunes the impact sound and provides greater feel of the clubface.